There is a lot to do in Silom for every kind of person. Be it during the bright day while the sun still shines or during the night when the moon is out and the nightlife spirit invades the area… there is always something you can do that you will love. 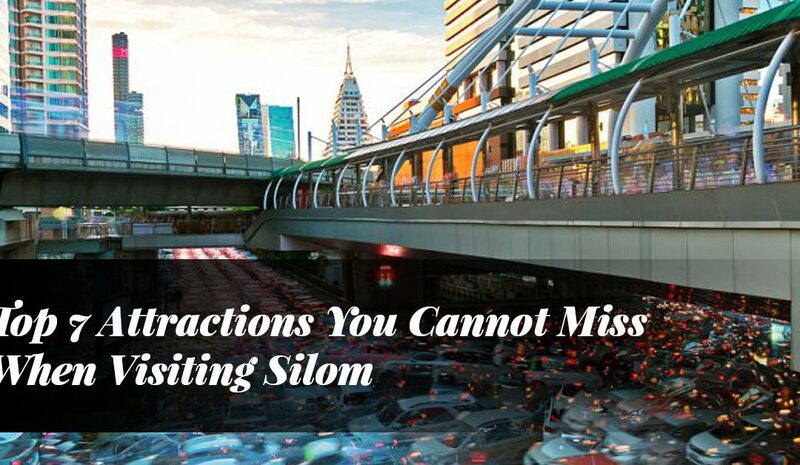 In this opportunity, we are going to share with you the top 7 things you cannot miss when visiting Silom. This article comes to you thanks to Apoteka, your best gastropub in Bangkok. Without any further delay, let’s start! Bangkok is a wild, exotic and BUSY city. If you have never been here before, then it is easy to get overwhelmed with the traffic and its rhythm. 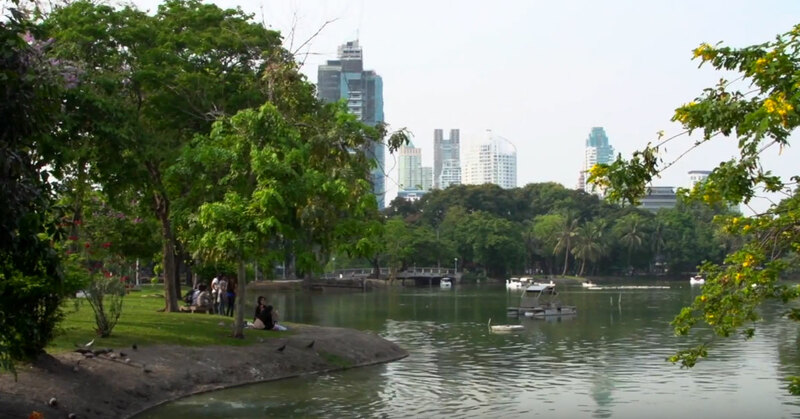 However, if you are looking for a place where you can relax from such a wild and busy lifestyle, then you need to come to the Lumpini Park in Silom. It is one of the biggest green areas in Bangkok and many consider it an “Oasis”, a real escape from the loud and busy life of the city. You can opt for a calm walk with your family/friends, have fun in the boats of the ponds or take this as an opportunity to do some exercise. However, you can also find several sports courts in Lumpini Park, from a swimming to a gym and more, there is a lot to do if you want to opt for the fitness activities of this famous park. You can also choose to ride your bike across the park, another popular option for those who want to stay in shape and have a blast! Here you can also enjoy of a tasty meal thanks to Thai street food, or if you prefer, you can also visit the Weekend Food Market… it is up to you! You will have many delicious options at your disposal here. Craving to visit? Worry not, because you can find it on Rama IV Road, Pathumwan. If you are in BKK looking for something different and calmer, then the Lumpini Park won’t fail to meet your expectations! When you hear of a farm, you usually think of cows, chickens, pigs and horses, right? Well, here in Bangkok it takes a completely new meaning when you visit the exotic Snake Farm! In this special attraction, you will find a rich and large variety of snakes being exhibited by their handlers. If you are a fan of these reptiles, then this place is a must-visit for you. There are daily shows – 11:00 am on weekends and 02:00 pm on weekdays – that will keep you on the edge of your seat, because seeing the handlers interact with these magnificent and deadly creatures is one of the most fascinating things you will ever see. One of the main differences of this attraction is that the snakes are treated carefully to preserve them. 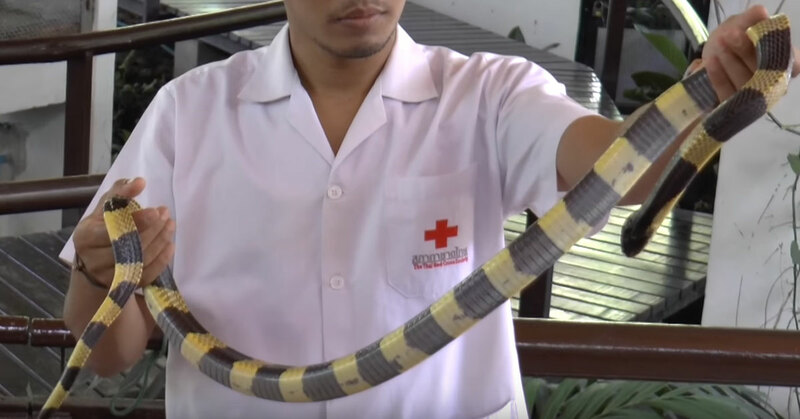 Furthermore, it serves another purpose: the handlers extract the venom from these animals to elaborate antidotes for snakebite victims over Thailand. If you want to live this exotic experience, then you only have to come to Thai Red Cross Institute, Rama IV and Henry Dunant Road intersection. Without any doubts, this is one of the most iconic attractions in Silom, and thereby a must-visit during your stay in Bangkok. 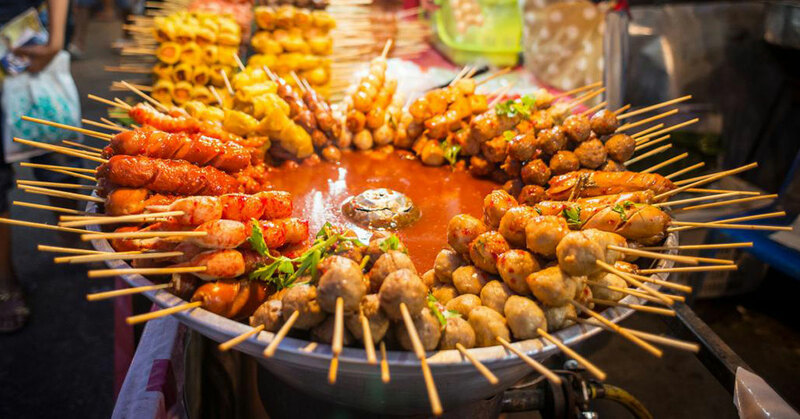 One of the principal reasons why people love Thailand is because of its exotic and delicious food, and Silom is not the exception, because here you can find plenty of exceptional street food eateries. For enjoying all the wonders of Thai street food, all you have to do is to come to Silom Soi 22, where you will find tons of different vendors, offering you the best of local cuisine. If you want to find the best Thai threats, then come in the early hours of the morning. In addition, you will also find fresh products and your typical Thai daily goods. At around 10:00 am, you will see many restaurants and eateries pop out, so you can enjoy the best dishes for your lunch and dinner. Believe us, you have got to try them, because Thai street food is both delicious and affordable… the best combination! However, if you prefer to opt for purely vegetarian options, then visit the Mariamman Hindu Temple that is nearby, because down the same street, you will find excellent vegetarian restaurants to satisfy your cravings. This is one of the most exotic and majestic temples you will see in your life… a real display of Indian architecture right in the center of BKK. It is dedicated to the Goddess Mariamman, which is considered as the South Indian incarnation of Goddess Kali. It has a strong links to the goddesses Durga and Parvati. 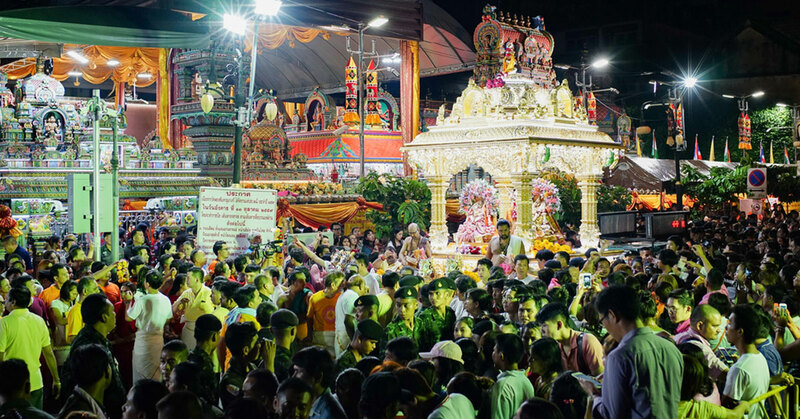 This deity is primarily venerated in Tamil Nadu, from which several immigrants came to the Silom area during the 1860s and built this majestic temple, which has become one of the main attractions thanks to its beautiful architecture and exotic design and bright colors. Even though taking photos of it is a must-do, keep them for the outside, because it is strictly forbidden to take them inside. If you intend to enter, then make sure that you dress and act accordingly, because it is a sacred place entirely dedicated to worship. You can find this temple at the corner of Pan Road and Silom Road. That makes the Sky Bar different to your typical rooftop bar is that it is located on the top of an iconic building (hint: Hangover II’s bar), and due to this, the crowd is composed from people all over the world. 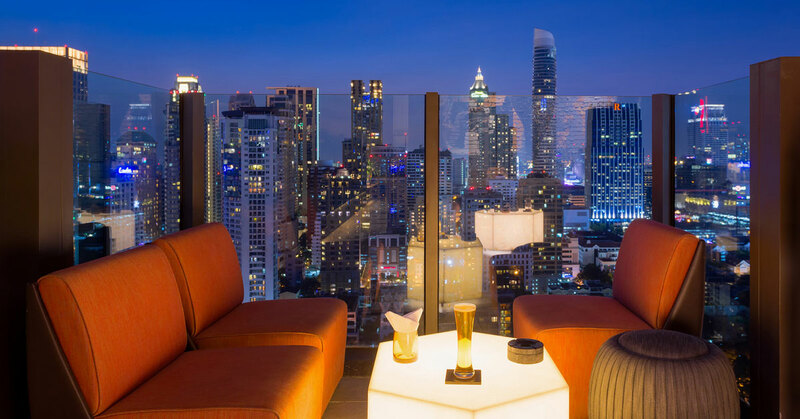 This bar, which is 63 storeys up, is considered to be one of the best not only in Asia but also the whole world. The mysticism brought by the movie, always-incoming crowd of clients and great quality of service preserve its reputation.  Here you can enjoy the most exquisite dishes prepared by experienced and creative chefs. Furthermore, you will also have a wide variety of wines and cocktails at your disposal. The music is pretty good as well, and even though some say that it is “overcrowded”, it is still one of the main attractions of Silom and you should definitively visit it if you are looking for nightlife fun. Ready for a fun evening out? Then you only need to come to the Dome at Lebua on Silom Road. Now, if you are looking for a different kind of nightlife fun, then you need to come to visit Patpong, the main red-light district of Silom. Like the Sky Bar, this place has become very popular thanks to a movie, in this case, it was scene to a James Bond car chase sequence. Many persons who come here do it principally for this reason. 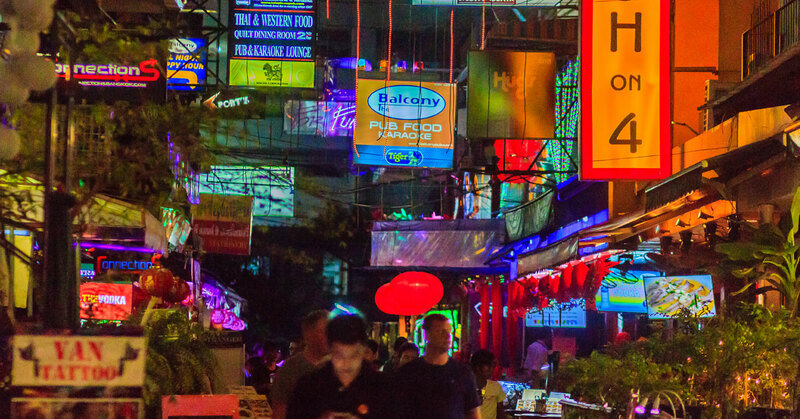 Even though the adult entertainment is the main reason people come here, you can still find your fair share of night markets with interesting and exotic offerings, so it is worth exploring this aspect of Patpong. As you can see, there is plenty to explore. Therefore, if you are looking for the best adult entertainment in Silom, then you have to come here and explore these go-go bars. You can find this attraction in Patong Road. If you are fond of very exotic and niche experiences, then you cannot afford to miss The Bangkok Seashell Museum. If you have a real interest in exploring marine life and getting in touch with this exotic form of natural beauty, then this is the place for you. Here you will find over 3000 specimens of 600 species. 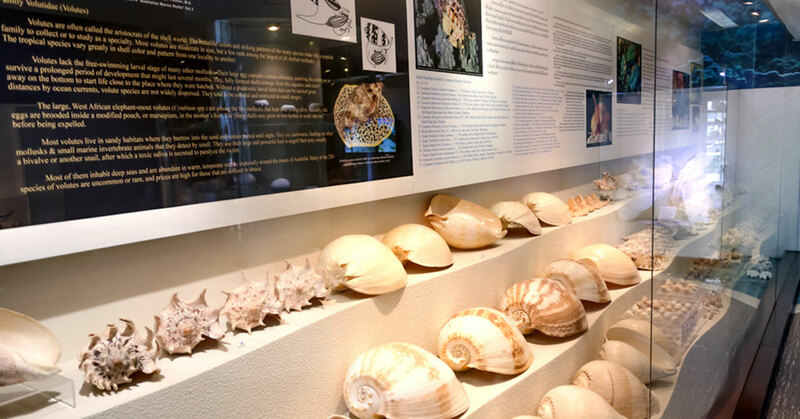 What makes this museum special is that the seashells are placed artistically to create a beautiful and stunning exhibition that will touch your artsy side. Even if you are not a geek for seashells, you are going to have a great time here, because this is where they adopt a completely new sense, by getting in touch with art. And if you are looking for something truly fascinating, then go and see the giant clamp which weighs over 300 kilograms! You can find this attraction on Silom Road next to Soi Silom 23. Now you have five seven entertaining and fascinating things to do around Silom. As you can see, there is a lot to do and see, so come here and enjoy everything this exotic area has to offer you!